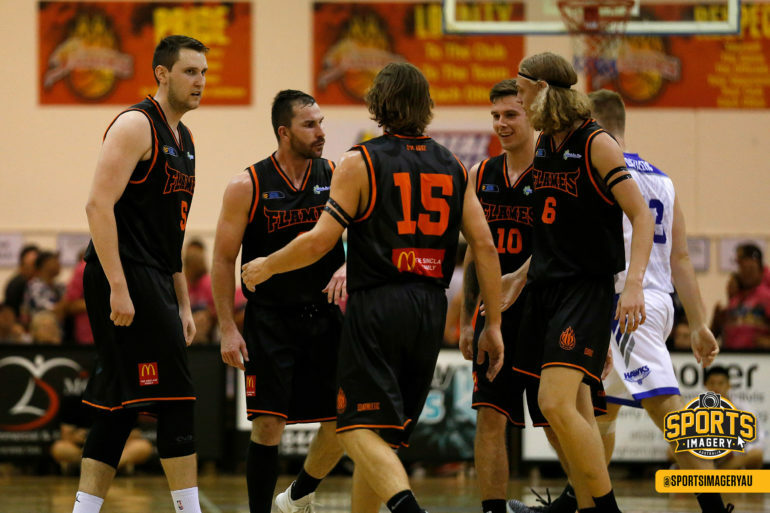 FRIDAY night SBL is where all the action is to start Round 4 of the 2019 season including the Perth Redbacks and Rockingham Flames meeting for the inaugural Anthony Exeter Cup in honour of the former league MVP who tragically lost his life this summer. It’s a big night on Friday in the Men’s SBL with five matches including the Redbacks playing the Flames at Belmont Oasis. The Willetton Tigers also play the East Perth Eagles while the Kalamunda Eastern Suns take on the South West Slammers, the Perry Lakes Hawks battle the Mandurah Magic and in a battle of undefeated teams, the Lakeside Lightning host the Joondalup Wolves. There’s another four matches on Saturday night with the Geraldton Buccaneers hosting the Cockburn Cougars while the East Perth Eagles are at home to the Goldfields Giants. Also on Saturday night, the Warwick Senators play their first home game of 2019 up against the Willetton Tigers and the South West Slammers play host to the Perth Redbacks. The round concludes on Sunday at noon with the Rockingham Flames hosting the Goldfields Giants. Friday night in the Men’s SBL will see the Redbacks and Flames pay tribute to a former star player of both clubs, and league MVP Anthony Exeter. They will play for the Anthony Exeter Cup in each meeting between their men’s teams from now on with this their first clash since his tragic passing. It shapes as an intriguing game too and significant test for the Redbacks. They are winless to date in 2019 having lost to Warwick, Goldfields, Lakeside and Perry Lakes by an average of 20.5 points. They are expected to still be without Kyle Bowen, Lee Roberts and Jourdan DeMuynck come Friday night against a Rockingham team warming into the season nicely. An undermanned Flames lost on the road in the opening round to Geraldton but have since beaten the Hawks and Cougars. Last week’s 30-point win over Cockburn was on the back of 28 points and 10 rebounds from Josh Ritchart, and a triple-double made up of 18 points, 11 rebounds and 10 assists for Greg Hire. Friday night will feature the last two undefeated teams doing battle too with the Lightning hosting the Wolves at Lakeside Recreation Centre. There will be only one team yet to lose in 2019 after Friday night in what shapes as a tremendous contest. Coming off four straight Grand Final appearances, the Wolves are up and going early in 2019 having beaten the Hawks, Giants, Senators and Eagles while the Lightning have been impressive with victories against the Magic, Tigers and Redbacks. Any time you get to Round 4 and undefeated teams lock horns always creates plenty of intrigue and the winner will deserve end the weekend clear on top of the table. Also on Friday night, Perry Lakes plays host to Mandurah at Bendat Basketball Centre. The defending champion Hawks lost their opening two games of the season but responded with two wins last weekend beating the Redbacks and Buccaneers in the space of 18 hours to now sit at 2-2 entering the home clash with the Magic. Mandurah had a solid start to the season with narrow losses to the Lightning and Eastern Suns, before a strong road win over the Suns at Kalamunda on the back of a dominant second half. They appeared to be building some momentum but put in a shocker last Saturday at home to East Perth, scoring just 48 points and losing by 51. So that gives the Magic with a lot to try to bounce back from but an in-form Hawks team isn’t going to make that an easy task. Willetton is back home at Willetton Basketball Stadium to take on East Perth in another tantalising Friday night match up. The Tigers come into the around at 2-2 having suffered a tough home loss to Kalamunda last Friday before bouncing back to win on the road over the Slammers despite the absence of Jackson Hussey and Marcanvis Hymon. East Perth suffered its first loss of the season last Friday at home to the Wolves but emphatically bounced back to beat the Magic by 51 points 24 hours later to set the stage for a tremendous battle with the Tigers. The last game on Friday night is then at Ray Owen Sports Centre with the Eastern Suns playing host to the Slammers. Kalamunda beat Willetton by 26 points last Friday night before losing to Geraldton the next night by 29 so their form is hard to read early in the season. Meanwhile the Slammers were coming off a 50-point loss to Geraldton and were more competitive last week, but still lost at home to Willetton by seven points to be 0-3 early in the new season under John Triscari. Triscari and Suns coach Mark Utley are good friends and similar personalities, but both will be desperate to go one-up in their individual battle in 2019 as they lock horns in the Men’s SBL for the first time. There are then another four matches on Saturday night starting with the Buccs hosting the Cougars at Active West Stadium. Geraldton suffered its first loss of the season against Perry Lakes on Sunday having beaten Kalamunda the night before by 29 points in their first road game of the season. So they will be looking to improve on their 3-1 start against a Cougars team yet to taste victory in 2019 despite the best efforts of inspirational captain Gavin Field. The Goldfields Giants begin their second road trip of the season coming off home victories against the Redbacks and Senators by taking on East Perth on Saturday night at Herb Graham Recreation Centre. The Eagles will be coming off playing at Willetton Friday night while the Giants will back up the clash with East Perth by facing the Flames in Rockingham on Sunday at midday. Also on Saturday night, the Slammers play the Redbacks at Eaton Recreation Centre with both coming off games to warm up on Friday evening. The Warwick Senators then play their first home game of the season playing host to the Tigers at Warwick Stadium. The Senators have started the season with a big road win over the Redbacks before losing away to the Wolves and Giants leading into their Saturday night at home to a Willetton team having played host to East Perth on Friday.